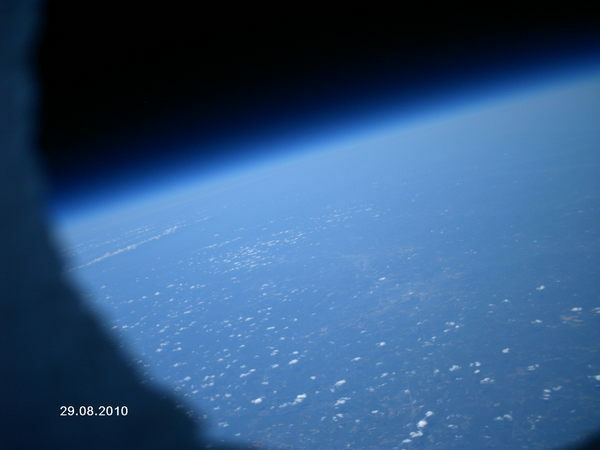 On or about 16:30 on the 29th day of August, 2010 757 Labs successfully recovered the high altitude balloon that we launched for the Hackerspaces in Space contest. 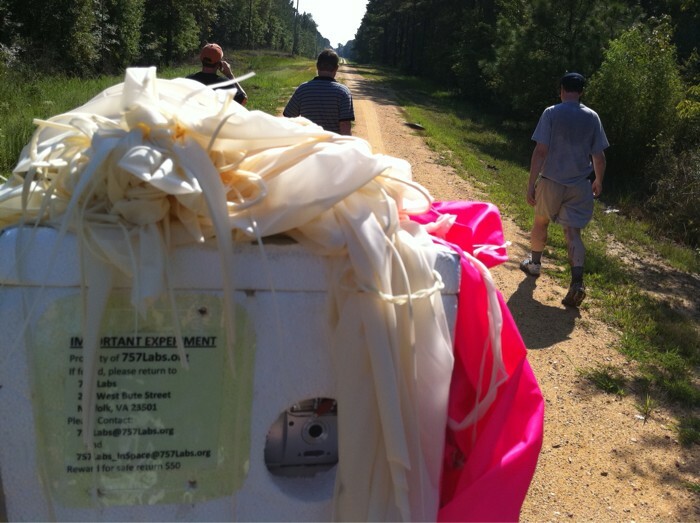 The balloon was launched from 'Middle of Nowhere' Suffolk, VA and recovered the balloon in 'Where the Hell Are We', NC. According to the raw data I have, launch took place at about 10:55, hit a peak altitude of 103,258ft at about 13:04 and last received location at and altitude of 3,244ft at about 13:32. After that it was searching the ground and listening for chirps and data bursts. As I type this the recovery team is on their way back with the payload and the pictures we all can't wait to see. We just got a picture from the recovery team which shows the curve of the Earth and the black of space... and part of the payload container.